The modern economy has never been more reliant on data. Businesses, governments, and families must navigate the complexities of a world made possible by new technologies and innovative business practices. Without reliable information about the economic and social environment, it is impossible in many instances to make sensible choices. For example, when deciding where to locate distribution centers, stores, and warehouses, the American Community Survey’s (ACS’s) accurate local data have proven invaluable to retailers (Kleinhenz 2015). Researchers know significantly more about the impact of prowork policy reforms in the 1990s due to data from the Bureau of Labor Statistics (BLS)— and are better prepared to advise policy makers on future reforms. Addressing fundamental questions important to families, the ACS aids prospective students in making better college and career choices. Our founding fathers recognized the value of data. James Madison observed that information on agricultural, commercial, and manufacturing interests would enable any legislature to represent the interests of its citizens more effectively. Madison pointed out that this kind of information had never been obtained in any country, and that it would enable the United States to grow (Hutchinson and Rachal 1963). Objective, impartial data collection by federal statistical agencies is vital to informing decisions made by businesses, policy makers, and families. 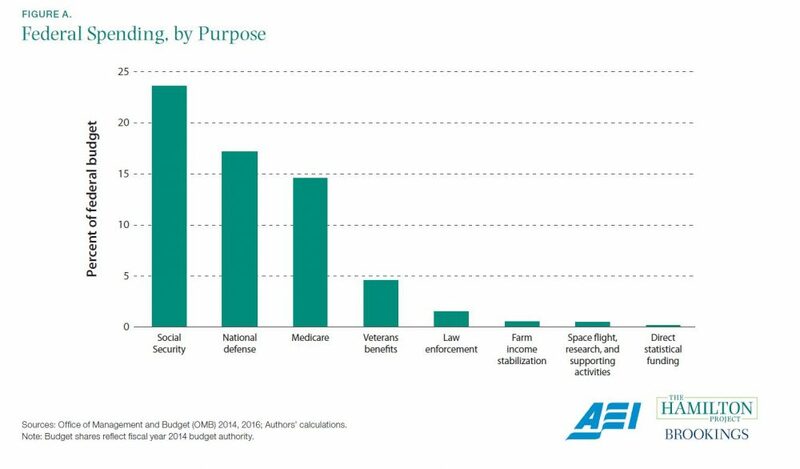 These measurements make it possible to have a productive discussion about the advantages and disadvantages of particular policies, and about the state of the economy. 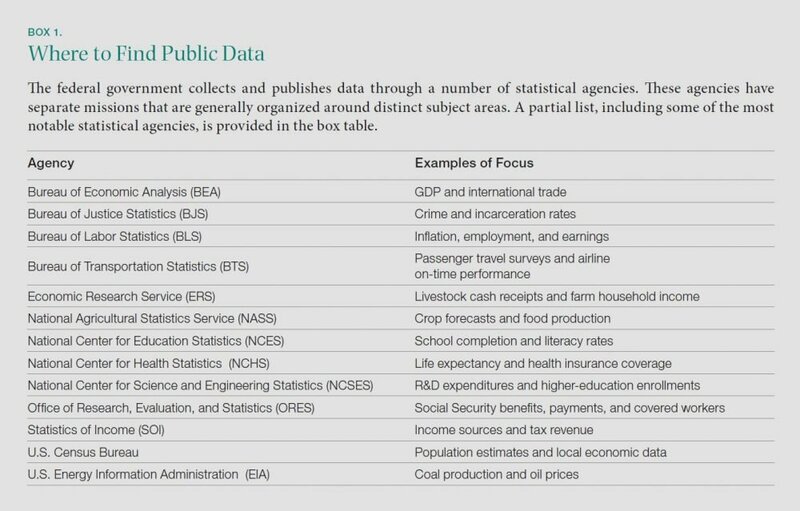 This document demonstrates a portion of the breadth and importance of government statistics to public policy and the economy.